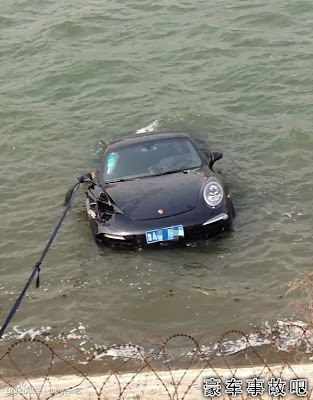 Everyone know the engine we find in the new generation of the Porsche 911 is water cooled, but this owner is taking things too seriously, or perhaps he thought his car was also a good boat. 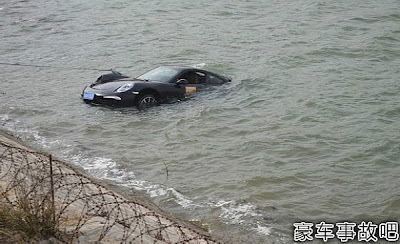 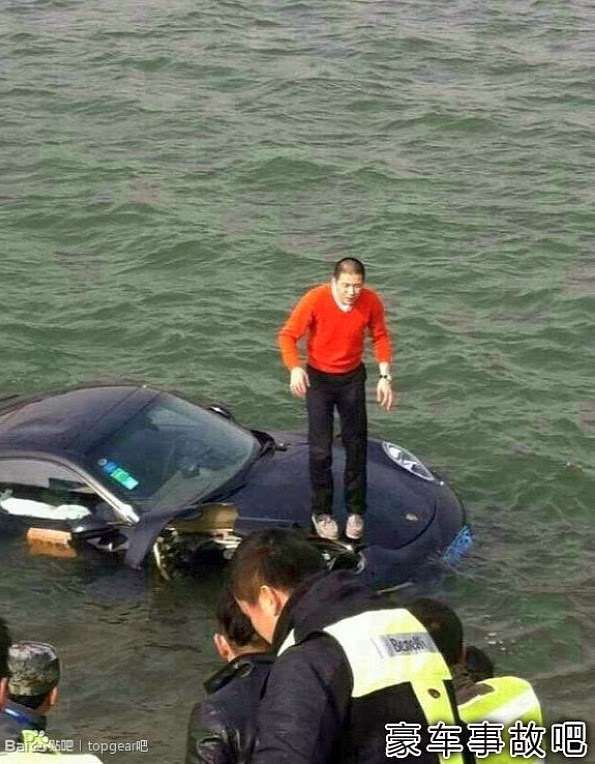 The protagonist of this accident is the wet chinese man you see laying on the bonnet of his Porsche that is floating in a lake in the city of Jinan. We don't know the reasons of the accident and even if the Porsche doesn't seems very damaged, this expensive bath has certainly compromised the way-too-water cooled engine, as well as all the electric components and interior. 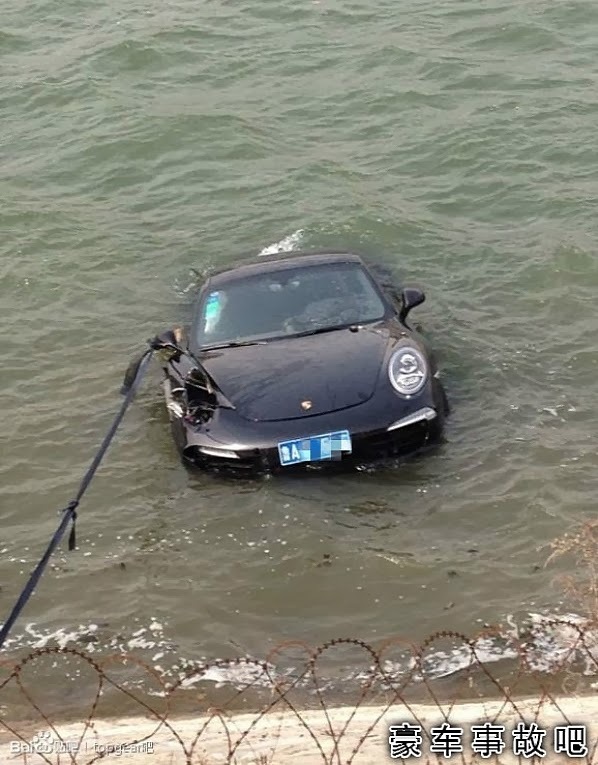 In other words, for the owner it would be cheaper to buy a new car... or a proper boat.